Tired of 3D Printing with plastic that smells like...plastic? 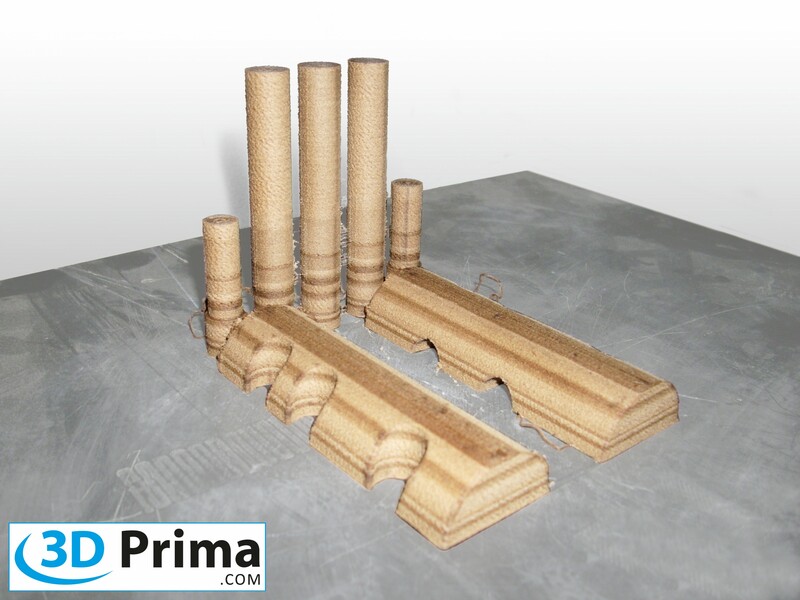 Introducing the first 3D Printing Wood Based Material! This wood filament can be used like any other 3D Printing filament; just load it into your 3D Printer and print any objects you want! Control the look and finish of the 'grain' by changing the extruder temeprature on the final layer of the 3D Print. This allows for a beautiful grain! 3D Print boxes, pegs, dowels, jigs for the shop, "paper" airplane frames, architecture models and more! If you can make it out of wood, you can 3D Print it with Laywoo-3D Printing Filament. LAYWOO-D3 is a German engineered wooden desktop 3D printer filament. To be precise LAYWOO-D3 filament is a mixture of 40% recycled wood with a binding polymer. 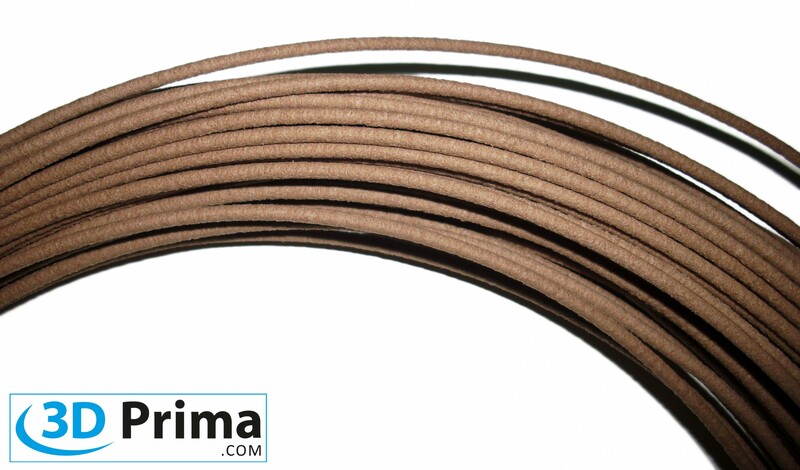 This wood/polymer composite allows the filament to be printed just like thermoplastic filaments such as ABS and PLA but gives your creation a wooden-like appearance. LAYWOO-D3 filament is designed for 3D printers based on RepRap technology. The thermal strength of LAYWOO-D3 filament is similar to PLA and can be printed between 175°C and 250°C. 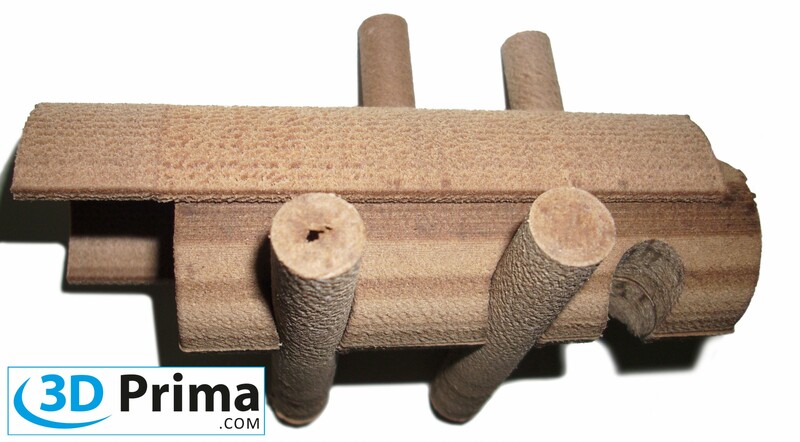 After printing, your object will look and smell like wood and it can also be handled like wood. After printing you can cut, grind and paint your creations similar as you can do with wooden objects. 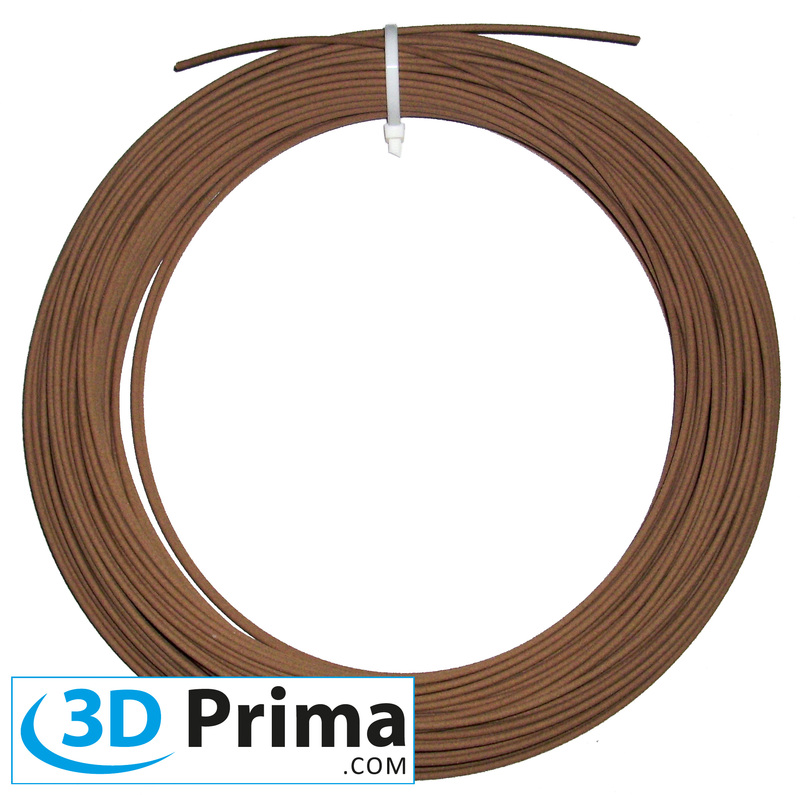 Depending on the temperature at which LAYWOO-D3 filament is printed, it will take on a different shade of brown. This means that by intentionally varying the printing temperature, you can simulate a trees growth ring effect. At 180°C your LAYWOO-D3 prints will have a light colour and at 245°C your print will become darker. Caution! This filament is extremely sensitive to lower temperatures (15 degrees celcius and below), and should be stored in a warm enclosure. The product will become extremely brittle if not, and breakage could occur! We currently sell this revolutionary LAYWOO-D3 filament in coils of 250 grams. Varying brightness of printed material by varying extruder termperature (recommended between 185°C and 230°C).